No, this isn’t a travel blog. LOL, if you know me you are really laughing now. It is a spectacular needlepoint finish by a dear friend. 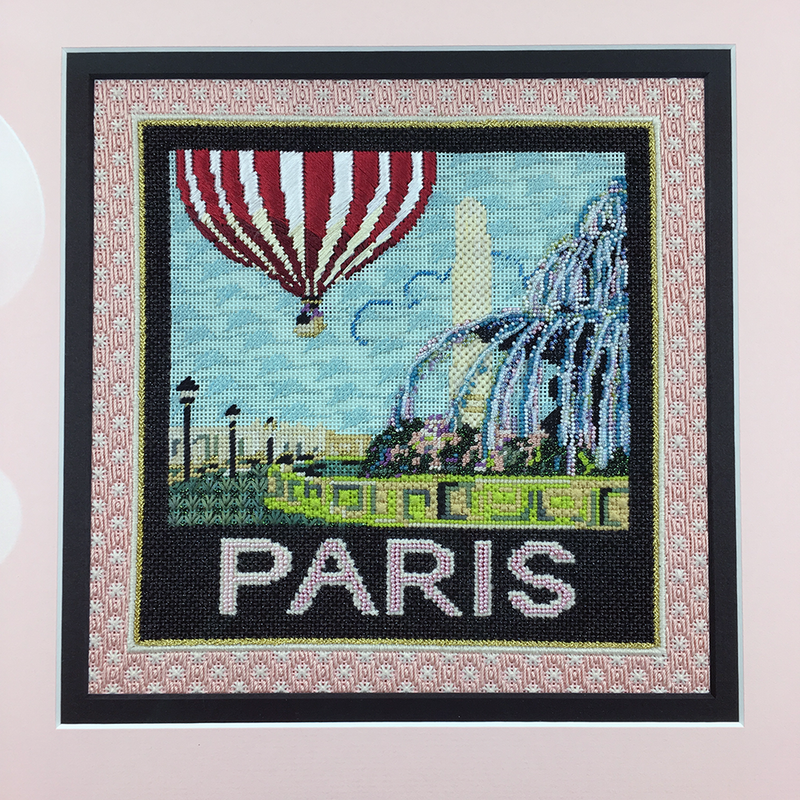 Paris by Sandra Gilmore is a charming smaller canvas beautifully painted on 18ct. 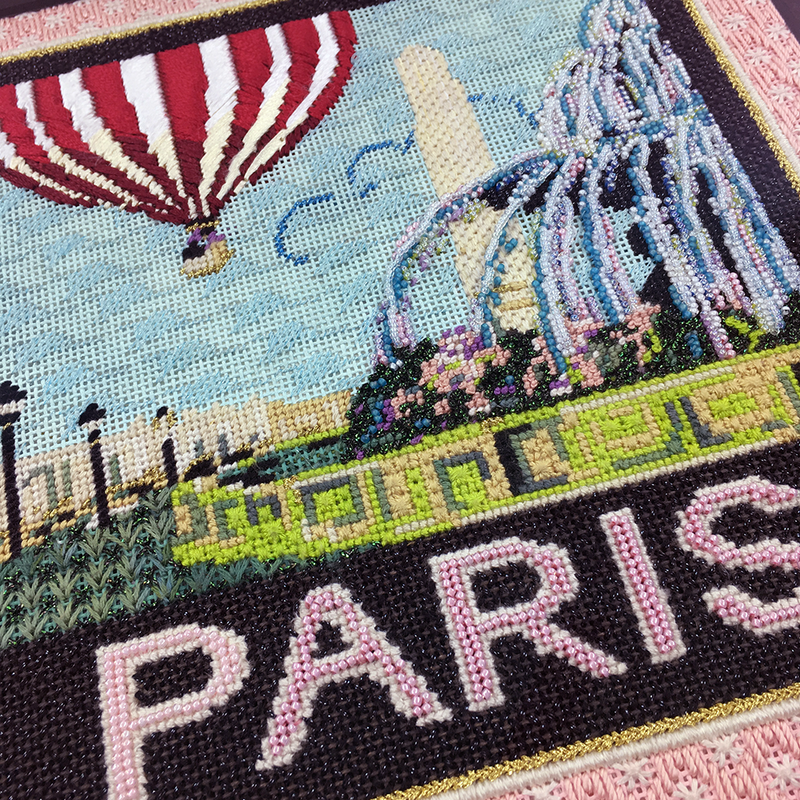 Beverlee selected this canvas for one of my embellishment extravaganzas. She stitched it in no time at all following my guide. There’s lots of fun threads and stitches in this one. The fountain is truly the star of the show. If you love Paris, this is the canvas for you. Give us a call or order online and we will send it your way. Thank you Beverlee for sharing your finished art with us. Are there spots for lots of beads?!!!! I think I would love to do this. Sign me up for this beauty! What a beautifully stitched piece! I love how the “matting” is actually part of the canvas.